The above is the link to the free download for our song of the day. 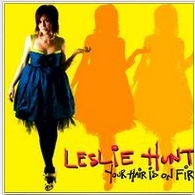 The song is "All The Way", by Leslie Hunt. The album is "Your Hair Is On Fire".